Crosspoint Family Dental offers dental bone grafts Lowell, MA patients can trust for quality. When the jawbone under missing teeth goes untreated over time, it often becomes unable to hold teeth implants. In the past, no viable options for treatment would be available, but thanks to developments in medical technology, patients with damaged jawbones can now receive new teeth implants. 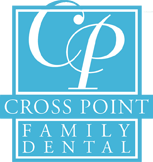 Conveniently located on 850 Chelmsford Street in Lowell, MA, Crosspoint Family Dental offers dental bone grafts for Lowell, MA patients, as well as for patients in surrounding communities. Our highly accredited dentists, Dr. Peysakhov and Dr. Turkenich, have 60 years of combined experience practicing the art of dentistry, and are well versed in dental bone grafts. Using the best technology available, our team of educated and certified professionals will work with you, making a plan and setting goals for what you want from your smile. From the front office to the dentist chair, you will have a full understanding of what to expect from your bone grafting procedure. If the site where you need implants is damaged due to injury, gum disease, or previous extractions, it might be time to consider dental bone grafts. When it comes to important procedures such as dental bone grafts, Lowell, MA dental patients know that Crosspoint Family Dental, has a safe and affordable solution for you. Do not put off dental work because of fear and anxiety. If you are a candidate for dental bone grafts, Lowell, MA residents can call the experts at Crosspoint Family Dental today at (978) 459-6467. Our friendly team of dentistry experts will welcome you into our relaxing, judgment-free office for a consultation to discuss your options and plan for treatment. Take back your smile and your dental health with a little help from the caring doctors at Crosspoint Family Dental. From routine cleaning to dental bone grafts, Lowell, MA dentists are here for you at our office.